The West Bengal government's decision to distribute cows among families in rural areas ahead of the panchayat polls has come under fire from the Left and the Congress as well as the BJP. KOLKATA: The West Bengal government's decision to distribute cows among families in rural areas ahead of the panchayat polls has come under fire from the Left and the Congress as well as the BJP. The CPI(M) and the Congress have accused the ruling Trinamool Congress (TMC) of communalising politics and helping the BJP. And the BJP has slammed the decision as an attempt to appease the people through the "politics of dole". The TMC, which announced its decision on November 14, was trying to help the BJP in the panchayat polls, the Congress and the CPI(M) alleged. 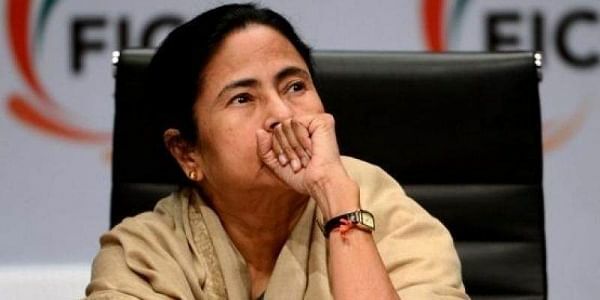 According to Leader of the Opposition and senior Congress leader Abdul Mannan, the decision clearly signifies that the TMC is helping the BJP in its divisive politics. "Why distribute cows ahead of panchayat polls? This is a clear indication that the TMC is trying to help the BJP gain ground in Bengal through its divisive politics. The TMC and the BJP have a tacit understanding on how to polarise the state," Mannan told PTI. CPI(M) politburo member Mohammad Salim agreed and said it was a ploy to make way for "cow politics", which he claimed the BJP has been practising across the nation. He added that the state government wanted to help the BJP ahead of next year's panchayat polls. The BJP also criticised the move. "Instead of the politics of development, the state government believes in the politics of dole. They have already given cycles and shoes, so now it's cows," state BJP president Dilip Ghosh told PTI. Had the government been serious about cow protection, he said, it would have taken steps to stop cow smuggling. "But it has not done that," he added. Animal Resources Development Minister Swapan Debnath defended the decision, saying distributing cows in rural areas would help make families self-reliant and increase milk production. He said under the TMC regime, milk production in the state had gone up by 16 per cent. The process of distribution of cows would start soon and be completed in the next couple of months. The panchayat poll is important as it will show which way the wind is blowing in West Bengal ahead of the 2019 Parliamentary election.